The Swan retro microwave has a huge 25 litre capacity and comes in a range of colours, all of which can be colour coordinated with other kitchen accessories and appliances from the Swan range such as kettles and toasters. 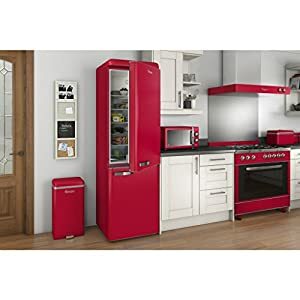 The retro looking stylish red microwave has 900 Watts of power and features 5 power levels as well as a defrost function that can be adjusted using the lower setting knob to the left of the door handle. 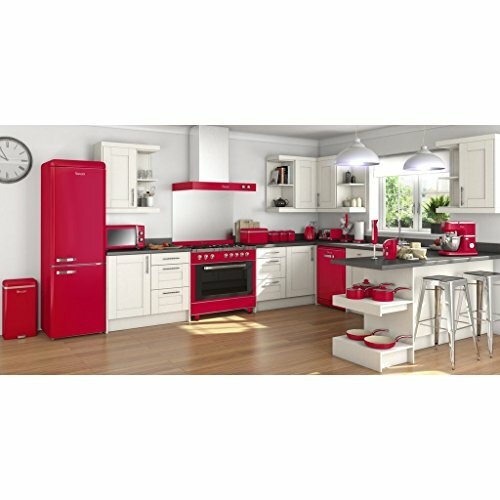 The upper knob is a 30 minute manual timer allowing you to get the correct time setting you need to heat and cook a range of foods. 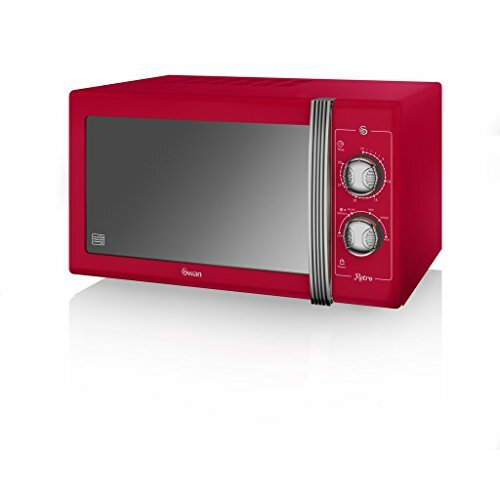 The Swan manual microwave comes complete with a glass turntable that measures 270 mm in diameter and is ready to use in the UK with a 3 pin plug. If you are looking for a microwave that looks great and can be colour matched with numerous other kitchen appliances from a range of companies the 25 litre, 900 Watt red microwave from Swan is a great choice. 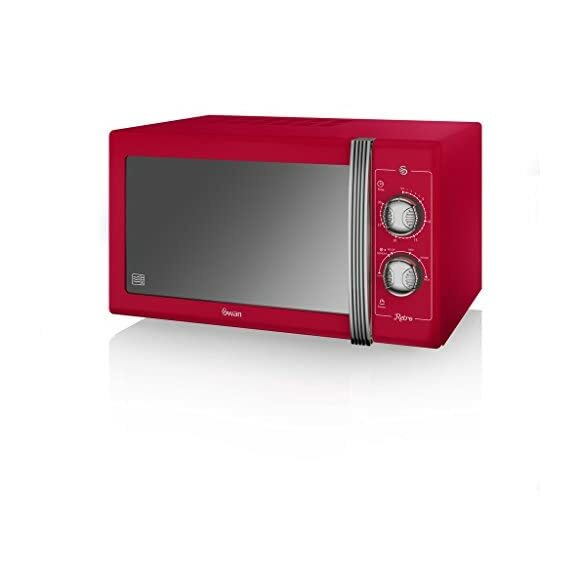 You can take a look at all of the reviews for the Swan manual microwave in the next tab or on visiting the retailer, or if you prefer to use a digital microwave why not take a look at some of the colourful digital microwaves we have listed from a range of brands in a wide spectrum of colours, capacities and styles.